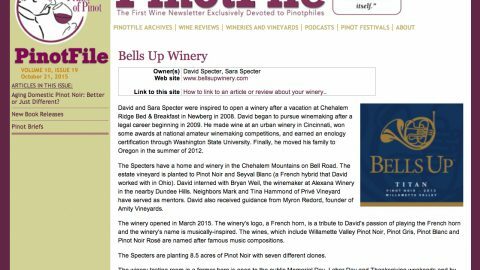 Dave and Sara were interviewed by Brian Calvert, host of Northwest Wine Night Radio, back in March 2016. The recording was broadcast this week (September 19, 2016) in Episode 135. 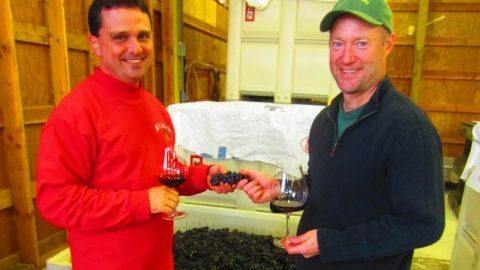 Northwest Wine Night Radio director Drew Mayer, host Brian Calvert and Bells Up Winery’s winemaker Dave Specter after our interview in March 2016. 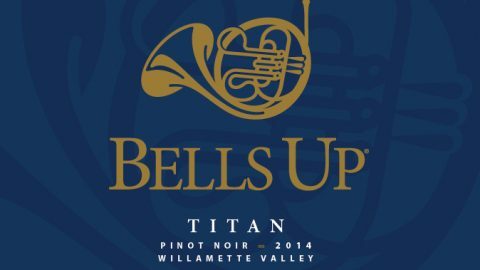 In it, you’ll hear all about our “meet cute,” how Dave discovered his passion for winemaking, why Sara encouraged him to leave his legal career, and what inspired the name “Bells Up”—as well as why there’s a French horn in our logo. 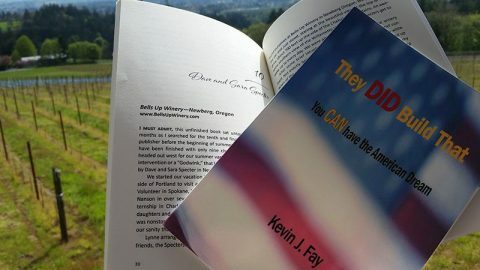 You can click on the image below to hear the two-part interview which covers roughly the first 20 minutes of the broadcast (there are a couple of commercial breaks in there, fyi), or check out the episode via the Northwest Wine Night Radio page. 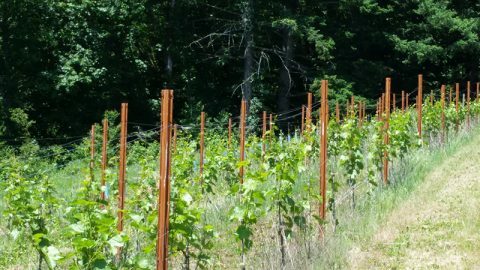 Northwest Wine Night Radio is a weekly, hour-long show featuring interviews with those part of the local wine industry. 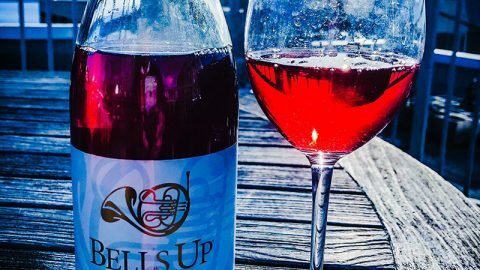 Winemakers, industry reps, chefs with great food pairings and recipe ideas—all these people telling the stories behind the bottle. 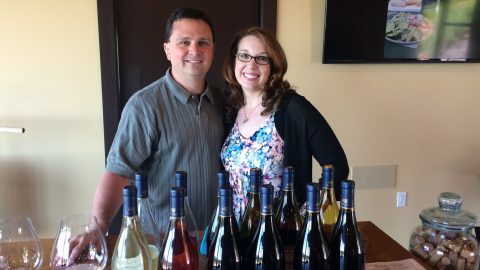 Additionally, the program supports many local producers, so in addition to the stories behind the wine, Brian and company also introduces the audience to the brewers, distillers, and cider makers of the region.